Join Om Thrive in recognizing National Domestic Violence Awareness month at the Purple Wellness Fair! The goal of this event is to provide education on addressing trauma through regular mind/body practice with emphasis on yoga and wellness. Attend a Yoga for Mental Health Workshop! Listen to empowering testimony of domestic violence survivors! Visit with your neighborhood yoga studio! Thank you to all who expressed interest in Volunteering with Om Thrive! This meeting will be the first of the Blazer season to get our volunteer groups for the Moda Center up and running. We will discuss requirements and review the event schedule for the month of October to choose which events will work best for the groups. Please bring anyone with you that is interested even if they can't commit to this year. I plan on doing this for multiple years so the more the better! Contact Day Bibb for more information at 352-322-9019 or day@omthrive.org. Thank you! Join us for Buti Yoga and Juice or "Juicy Buti" at Studio PDX on Saturday July 21 at 9:30 am. 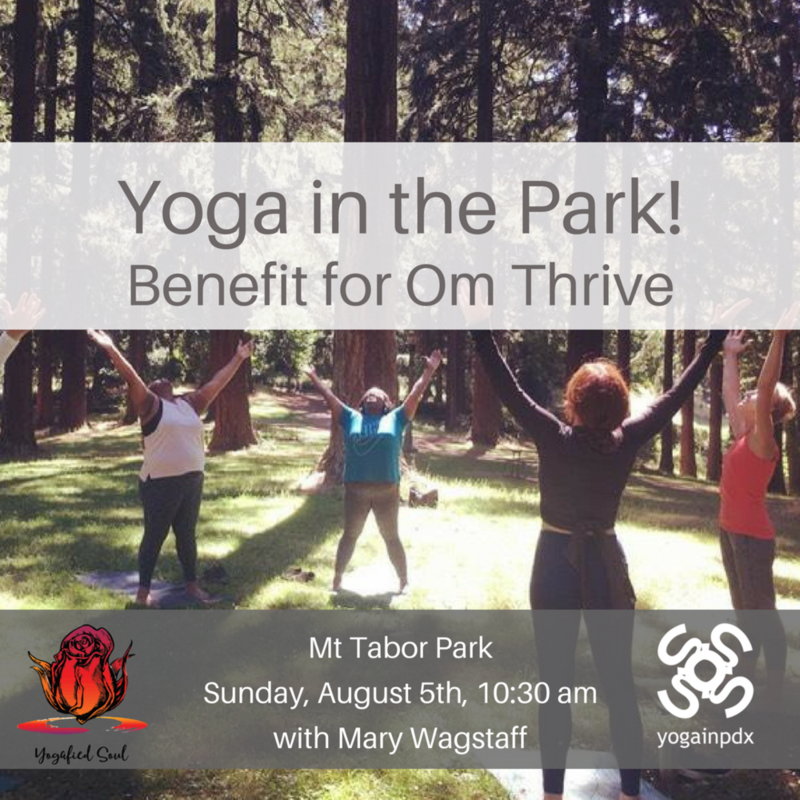 Om Thrive provides healing yoga practice to survivors of domestic violence and abuse in the Portland Metro area. Thank you Studio PDX for hosting us! Sponsored by Yogainpdx and Drifwest Water Kefir! Buti Yoga is a powerful blend of tribal dance and primal movements, plyometrics, and vinyasa-style yoga. See you there! Rooftop YOGA class, wellness shots, an amazing VIEW of downtown Portland from the rooftop of the Society Hotel in Oldtown Portland.